Brock Hepburn is an experienced, certified Forklift Mechanic. Brock has been working on forklifts for over 18 years and knows how to service equipment to last. 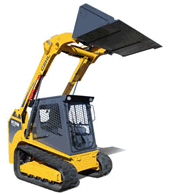 Your business depends on reliable material handling equipment every day. Whether it’s servicing your equipment at our full-service shop in Winnipeg, or on-site, Hepburn Enterprises Inc. mechanics get the job done right and on time. Owned and operated by Brock Hepburn since 1996, Hepburn Enterprises Inc. has built a solid reputation for delivering premium service and supplying brand name parts and tires to customers in Manitoba, Saskatchewan and NW Ontario. Hepburn Enterprises Inc. has grown from a one-man operation into one of the largest independently owned forklift and skid steer service providers in Manitoba. Hepburn Enterprises Inc. offers affordable repairs by experienced, bonded mechanics. Our full-service shop is located on a truck route at 7945 Wilkes Avenue in Winnipeg. At Hepburn Enterprises Inc., every customer is important to us and no job is too big or too small. We provide honest, quality service and strive to build long term relationships with our customers. Hepburn Enterprises Inc.—small enough to provide premium, personalized service and large enough to offer affordable prices. Call us for a free estimate. 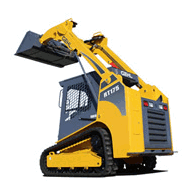 Hepburn Enterprises is proud to be the first Canadian dealer for the Gehl RT Series of track loaders! © 2003-2019 Herburn Enterprises Inc.